How can clinical registries support efforts to improve quality and value? The full 2019 Summit on the Future of Clinical Registries Program is now available – Click here to download the Registry Summit Program. We’re delighted to announce our Plenary Speakers at the 2019 Registry Summit! 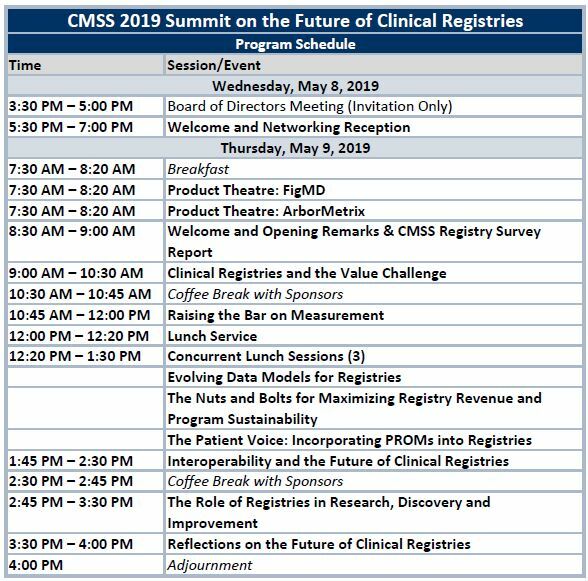 Plan today to connect with CMSS Sponsors at the Registry Summit! We have planned ample time to network with fellow attendees and our registry and data partners.